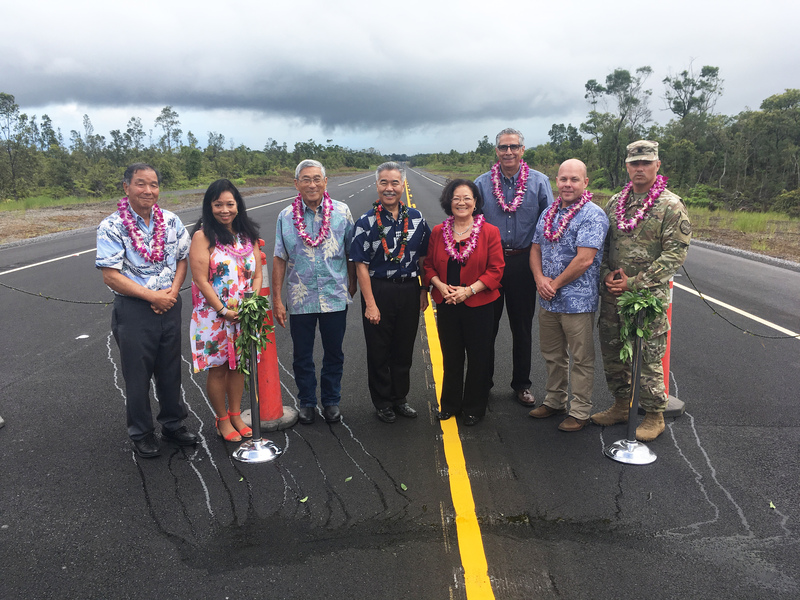 • Finished more highway projects on O‘ahu and the neighbor islands to alleviate traffic congestion, including Zipper Lane expansion and contraflow lanes on Kahekili and Farrington Highway, completion of Saddle Road construction and progress on the Lahaina Bypass. We also reduced the backlog of highway projects in the federal “pipeline” to keep funds flowing to the state and its counties. 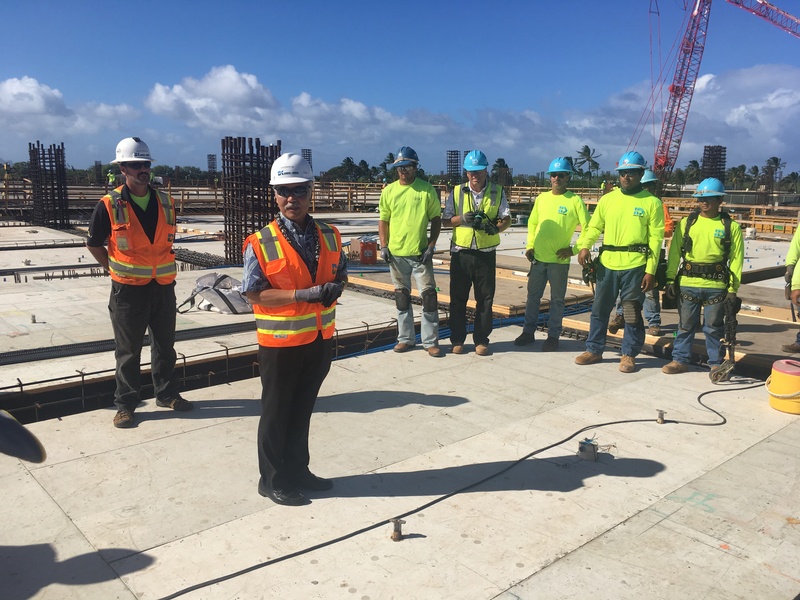 • Moved forward on airport modernization on O‘ahu and Maui and re-established the Federal Inspection Service facility at the Kona International Airport for more global travelers. 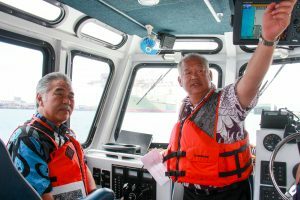 • Launched the long-awaited Honolulu Harbor modernization project to increase shipping options for the business community and lower consumer costs. Officials gathered for the dedication of the Daniel K. Inouye Highway’s final phase on Hawai’i Island, including Gov. Ige, Mayor Harry Kim and U.S. Sen. Mazie Hirono. HDOT deputy director Darrell Young and the governor tour Honolulu Harbor. Gov. Ige praises major progress on Maui at Kahului Airport’s new Consolidated Rent-a-Car facility.